These news are written for an international au­di­ence. If you live in Denmark, please consult my news pages in Danish, as they are more updated with urgent news. I bought my wife a mobile phone on Friday, September 16, 2005. 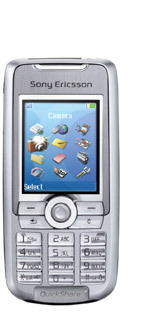 It was a Sony Ericsson K700i with its 40 MB of memory. I immediately started analysing its performance. Here are some results. This page will be extended with more sub-pages.